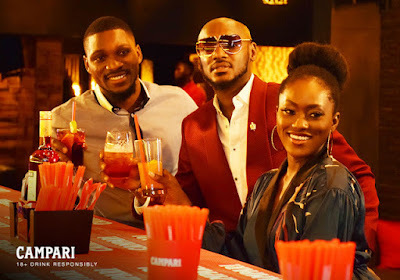 Nine influencers, including Brand ambassador, 2Baba, Tobi Bakre, Linda Osifo, actor Timini Egbuson and some housemates in the recently concluded Big Brother Naija unite as headliners to unveil Campari, Make it Red. 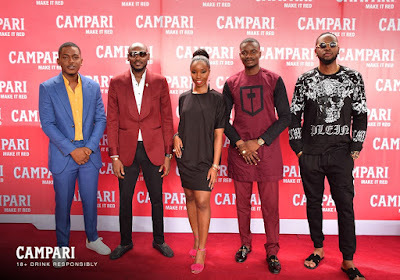 Exploring life’s moments, style and drive of Nigerians as the backdrop, the premium red bitters, Campari, has not only stimulated intriguing pleasures but also re-awakened the zest of the public. The unveil of Campari ‘Make It Red’ served as a rallying point for the mavericks, bold and non-conformist whose unique lifestyle and values resonates with that of the brand.